All SPPH and interdisciplinary students, alumni, faculty, and affiliates are invited to attend the SPPH Exchange. The day will commence with a keynote speech and panel discussion, followed by a series of participatory workshops. The Exchange will end with a student social and poster session which will offer all SPPH students and alumni the opportunity to showcase and receive feedback on any practicum or research work (proposed, in progress, or completed). Posters submitted previously to other conferences are eligible. A rural health theme is suggested but not mandatory as we would like to showcase all SPPH research. Expert faculty members and external reviewers, including members of the Faculty of Graduate and Postdoctoral Studies, will be present to provide feedback to students. Submissions are strongly encouraged – submit via the registration link above. A number of small prizes for the best posters will be awarded on the day. There will be free printing offered for the first five posters submitted. Stefan Grzybowski , MD, CCFP, MClSc, FCFP, is a Professor in the Department of Family Practice at UBC and a family physician with many years of rural clinical experience. He is Director of Research in the Department of Family Practice at UBC and has held a Michael Smith senior scholar award. 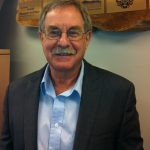 He has a longstanding interest in rural health services research and building research capacity, both of which are exercised through his current positions as co-Director of the Centre for Rural Health Research and Director of the Rural Health Services Research Network of BC. Current research foci include the safety of small rural maternity services with and without cesarean section capacity and systems planning of appropriate and sustainable rural health services. Jude Kornelsen, PhD, is an Associate Professor in the Department of Family Practice (UBC), co-Director of the Centre for Rural Health Research and an Honorary Professor, Sydney Medical School. Her professional life has been consumed with creating, examining and sharing comprehensive evidence to support rural health planning, particularly in the area of rural maternity care. Key values that underlie this work include recognizing the centrality of citizen patients in the planning process; privileging an expansive definition of evidence from individual, key stakeholder and community experience to scientific evidence and approaching research from an integrated perspective with a strong focus on knowledge translation. 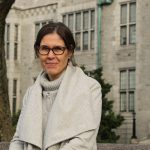 Underscoring her work is Dr. Kornelsen’s interest in productive research environments and how interdisciplinary teams can work to capacity with synergy to produce relevant, robust and useful evidence. She lives on Salt Spring with her family and is delighted to spend much of her time traveling to communities in rural BC. The workshop will explore concepts of Indigenous cultural safety and cultural humility. Participants will discuss strategies for Indigenous cultural safety approaches to community engagement. Virtual Care in Rural Health, Text Me! demo of the WelTel mobile app. 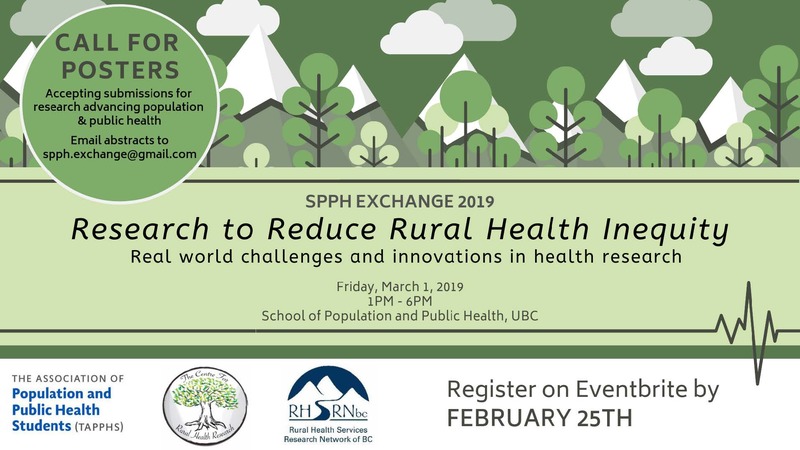 This workshop will explore the implications of rural British Columbia’s vast geography for data collection and community engagement in health services planning. Evonne Tran, Coordinator from the Rural Health Services Research Network of B.C. will discuss the concept of catchments; an innovative approach to data collection to reflect the realities of rural health services. Christine Carthew, Research Coordinator with the Centre for Rural Health Research, will explore the importance of meaningful engagement with rural and remote communities across B.C. for community- oriented (and useful!) research and the mechanisms for doing this. Christine will explore the health service priorities and needs of rural and remote communities across B.C. that have emerged through these outreach efforts. This workshop will explore the efforts of the Building Blocks to Sustainable Rural Maternity Care and Rural Surgical and Obstetrical Networks projects to inform policy directions in B.C., through consolidating evidence and building effective relationships. This event is sponsored by The Center for Rural Health Research and The Rural Health Services Research Network, and hosted by The Association of Population and Public Health Students (TAPPHS). It will serve as a networking opportunity to connect previous and current population and public health students, professionals, and SPPH faculty members. Afternoon tea, wine and cheese, snacks, and non-alcoholic beverages will be complimentary but pre-registration is expected.